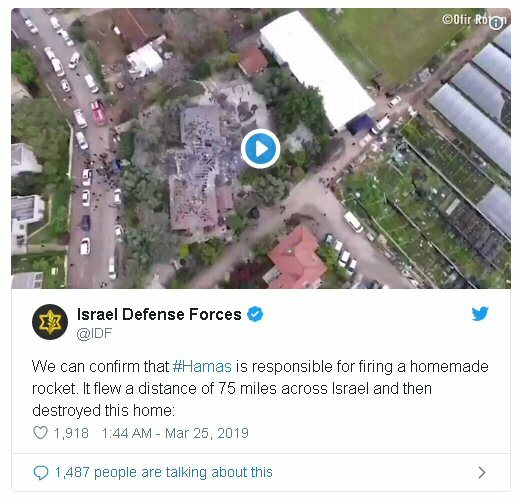 These developments come after Israeli Prime Minister Benjamin Netanyahu announced that Israel would respond strongly to rockets that were fired from Gaza, PNN reports. Netanyahu said : ”We will respond forcefully,” adding that he will return to Israel almost immediately, following rocket fire that hit the Sharon region Monday morning. Netanyahu met with President Donald Trump on Monday and boarded a plane to Israel. There are reports, in Gaza, that the offices of Hamas politburo chief Ismail Haniyeh have been hit. The Israeli army confirmed the attack. He added that the same message had been conveyed to Egypt, who intervened to broker a ceasefire and prevent Israel from launching another war on Gaza, after tensions escalated last year. Only a few hours after Hamas denied that it had launched a rocket toward Tel Aviv, the Israeli military began striking the besieged Palestinian territory.